Are you getting ready to celebrate Reading In America?! 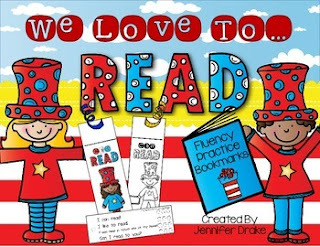 Want a fun, free gift to give your students that ALSO serves as reading fluency practice?!! Click the links to find my Silly Cat Number Fun and Silly Cat Read the Room packs in my store too! Great to give out as a reading incentive or to celebrate Read Across America! Give to students either in a book or reward them with a book when the fluency practice is completed! Looking for more reading fun? Visit My TpT Store! Be sure to check out my Facebook and/or My Blog for exclusive fan freebies, giveaways, games and more! Happy Reading Fluency FREEBIE Fun!